Desiring to reach the unchurched and those having given up on church, Berean Bible Church in Columbus, IN transitioned how they do ministry to a contemporary and more relevant approach. However, their church facilities and external presentation declared they were still traditional. Rebranding the church to match the ministry taking place on the inside was needed to move the ministry forward. As their downtown location constricted growth and was difficult to find, they acquired a new piece of property further out on a main thoroughfare. 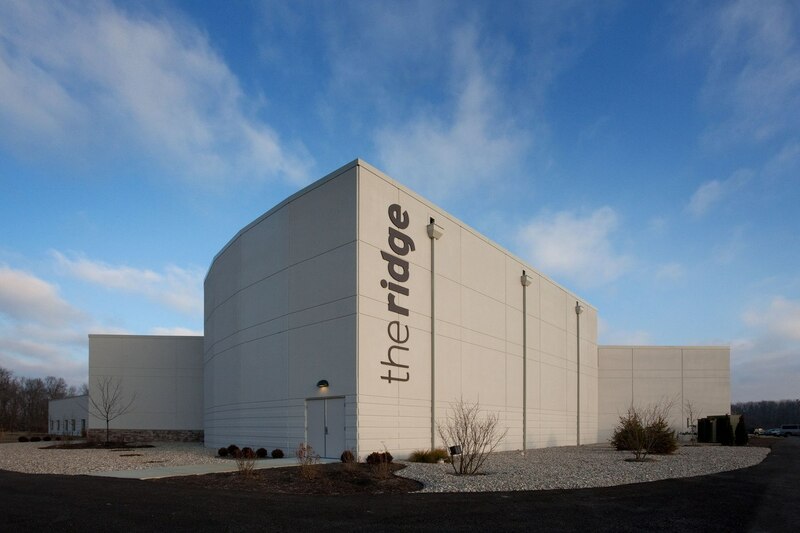 Aspen Group and partner Fishhook worked with Berean Bible Church as it rebranded and took on a new name, The Ridge. 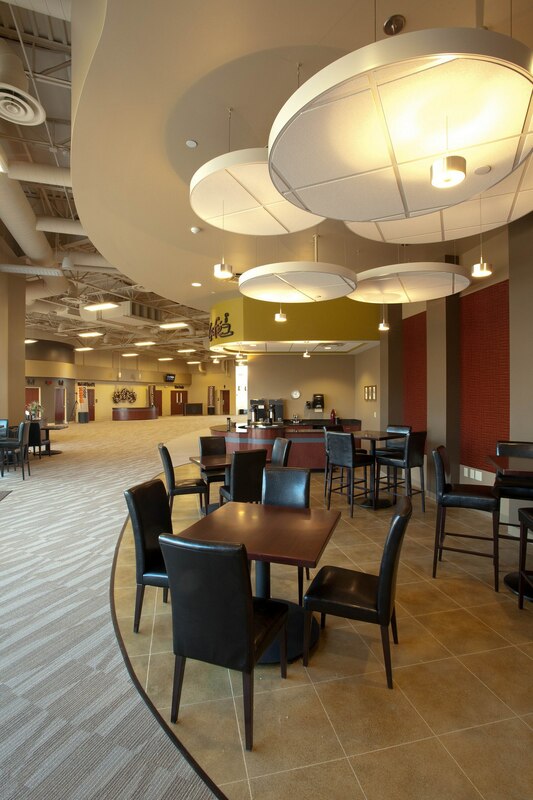 Together, they created a master plan for a facility that would support the ministry style to which the church was called. There’s no confusing The Ridge with a traditional church any longer. 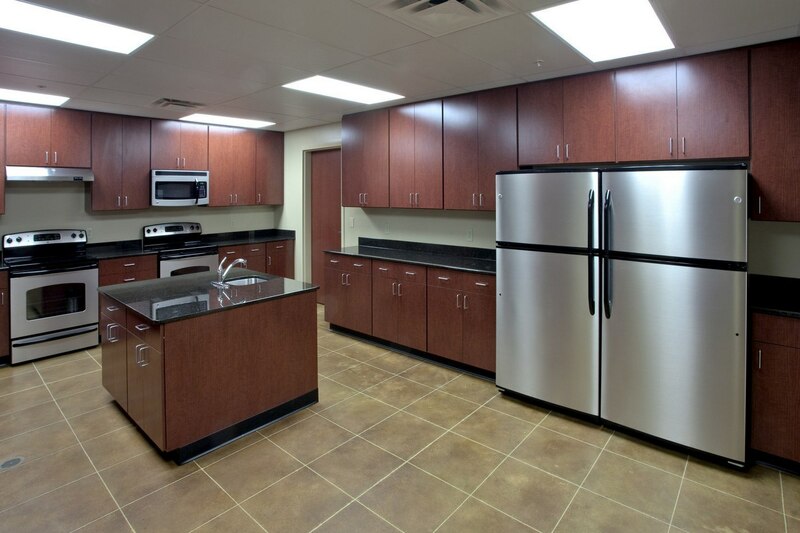 The precast-concrete construction presents a modern, contemporary vibe. The main entry features natural stone and glass, presenting a warm and inviting atmosphere and flooding the interior with natural light. As you approach the entry, you can see through to the rear of the atrium where an outdoor patio overlooks the ridge on which the facility is built. 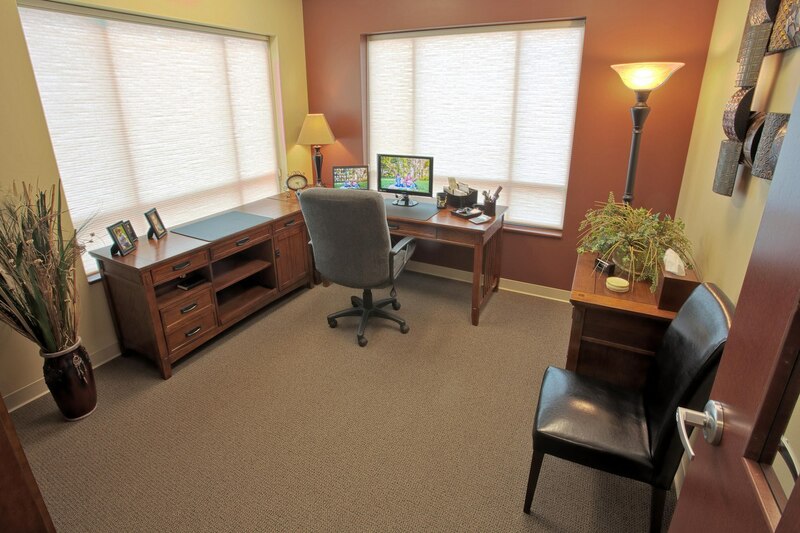 A challenge of their old facility was a lack of relational space. Their small lobby was so crowded people just wanted to leave after service. 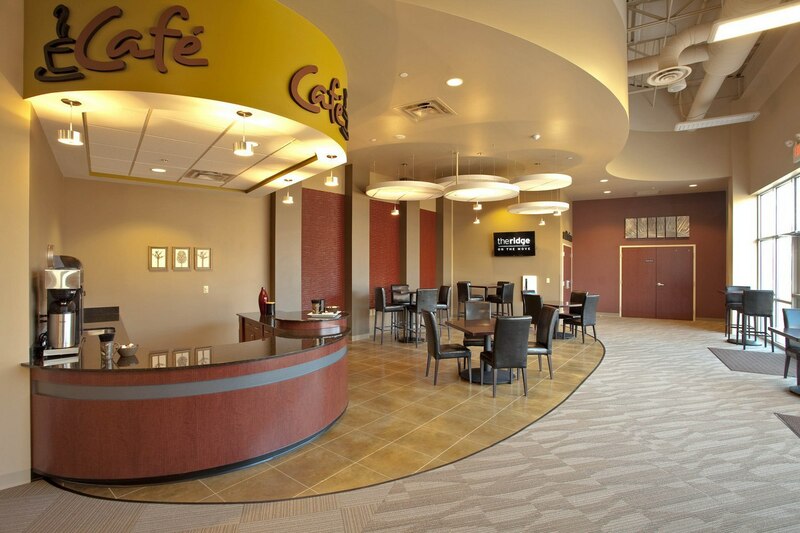 Now, a spacious, well-lit atrium encourages people to linger over a cup of coffee from the café and build the relationships that are so important to effective ministry. To support the church’s high-energy services, the worship center is designed as a fan-shaped auditorium. 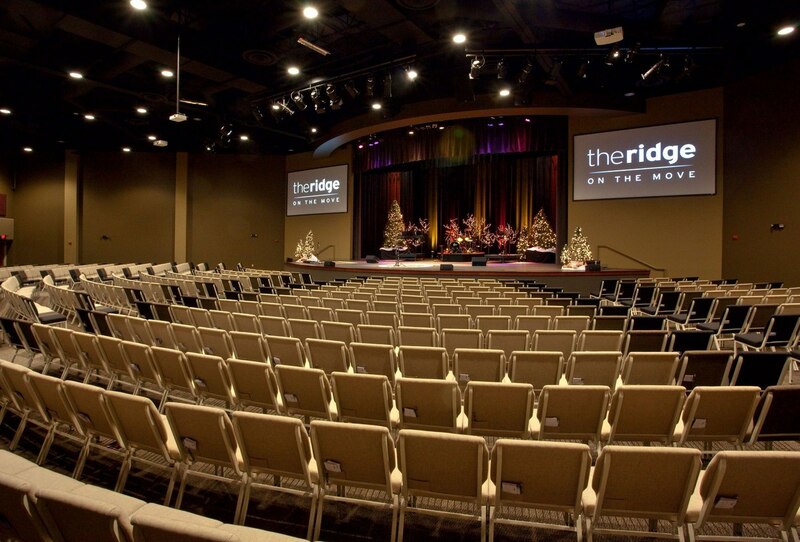 With proper acoustics and audio/video/lighting systems for higher sound levels, the auditorium design reinforces the edgy aspects of The Ridge’s services. A major goal of children’s ministry at The Ridge is to have an environment where kids can’t wait to return the next week. 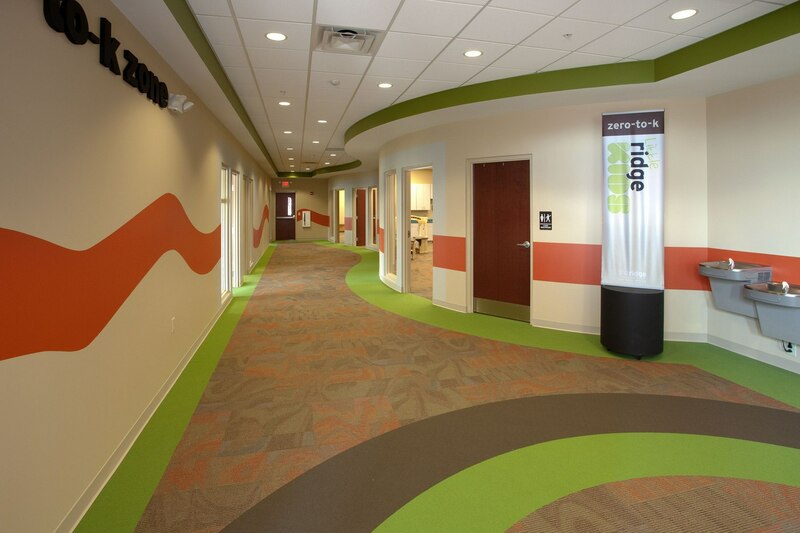 The children’s space utilizes bold colors and shapes for wall surfaces, and the multi-purpose room supports the first- through sixth-grade children with a stage, music, and drama. 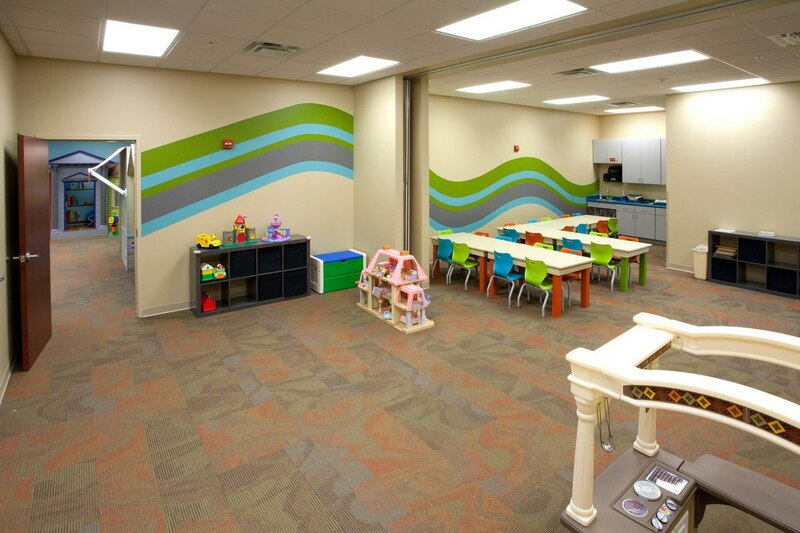 This large open area supports all kinds of activities, games, and blow-up play areas. All aspects of the children’s space support active learning, a cornerstone of their children’s ministry philosophy. 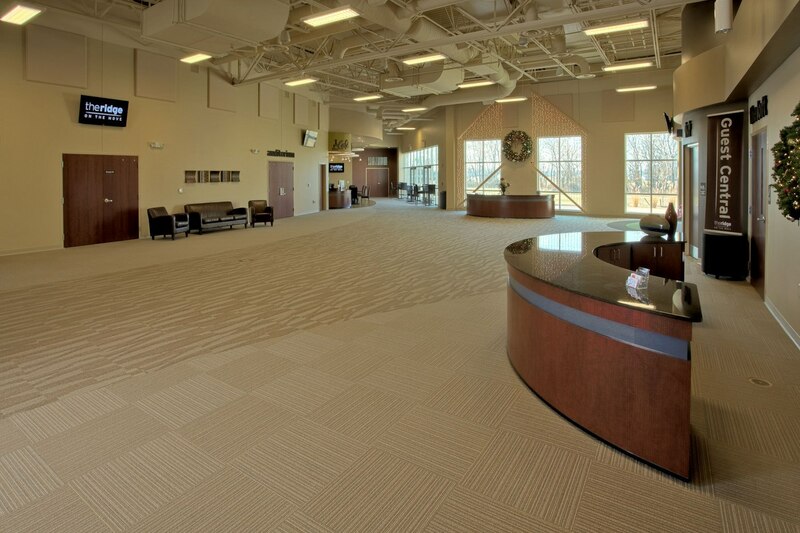 The Ridge now has a facility designed to complement and support their ministry style and calling.